I was thinking of doing Rush early on but hesitated at first. 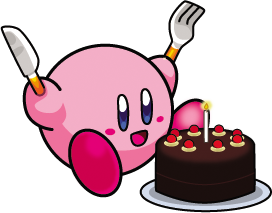 The last time I did a character cake (Kirby), it was kind of sad to cut into it… But! 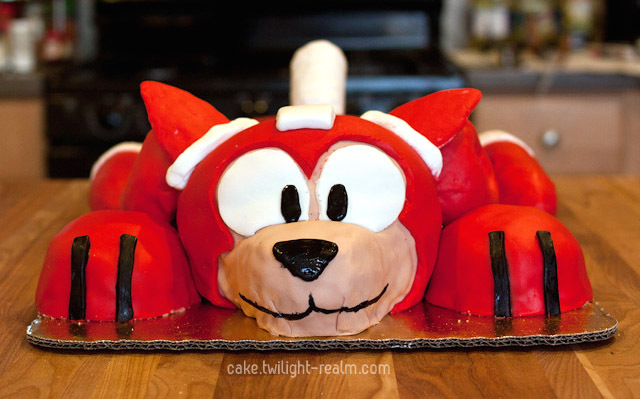 I went ahead and made a cake of him anyway since my husband likes the Megaman series so much. I chose his jet form since he’s lying down and is mostly flat. This cake ended up larger than I originally planned. I accidentally made his head too big, which meant making everything else bigger to be proportional. He is made from yellow cake with lemon-orange frosting and rice krispies. 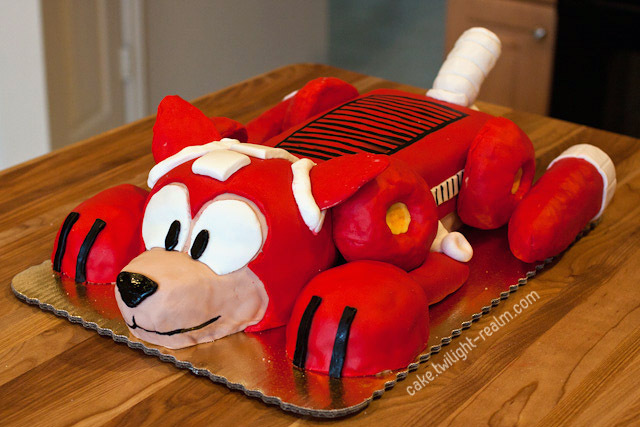 His head, body, and 2 front paws are carved from cake. The rest of the parts are rice krispie treats molded into shape. This is amazing, I love MegaMan!